When you run Disk Utility on your Mac hard drive and it reports that it cannot fix the disk because of a Invalid Node Structure, it means that your disk is in trouble. This situation may occur if your Mac loses power while running . It signifies the start towards the end of your Mac performance. Disk Utility can not solve this problem but you can use some famous third party tool which can fix this problem. Further, I will focus on that tool in this article but ,you need to keep backup before starting any experiment. Invalid key Length is a serious error in the directory of the disk. When Mac hard disk directory gets damaged then this error occurs. Every file or folder (item) on a Mac OS Standard (HFS) or Mac OS Extended (HFS Plus) disk has a directory key. Item names can have a variable number of characters (length).. A key with an invalid length is one which exceeds the maximum length. It is essential that an item's key is not invalid if it is to be accessed. Disk Utility tests key lengths at the same time when key order is tested. Unfortunately, Disk Utility and even some third party disk repair utilities are unable to repair this problem. Stellar Volume Repair has the ability to sort out these problem. This error occures in Mac because of frequent Kernal Panics or crashes of other tasks that require hard shutdowns. Catalog files are used by the file manager in order to maintain the information about order of files in Mac volume. Catalog file is a significant data structure of Mac OS X, which is required for proper functioning of your system. The catalog file is structured as B- tree file and therefore it consists of a header node, leaf nodes, index nodes and map nodes. These catalog file nodes helps to finding and accessing data from a volume. 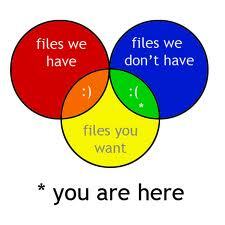 These nodes maintain the catalog files in a specific order. 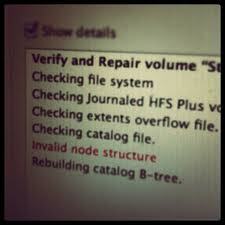 If the nodes are damaged or corrupted, you will not be able to find certain files or directories. This is the most common form of catalog file corruption and file records may be disordered. You can not resolve this problem via Disk Utility. There are many errors like Invalid extent entry, Invalid record count, Invalid index key, Invalid B-tree node size etc. All these errors cannot be fixed by Disk utility but Stellar Volume repair tool has the capability to fix all the above described errors in Mac. Why You Need a Maintenance Routine for Your Mac?